If you are an asthma sufferer, you probably already know how the conventional approach for treatment of asthma can be frustrating. The well-known prescribed medications for asthma which include antibiotics, bronchodilators and steroids are usually inadequate, lose their efficacy over time and can worsen your condition over the long term. Using an inhaler is essential and life-saving when you have an attack, but it will only treat your symptoms and has no preventive or healing properties. Therefore, it is wise to look for natural asthma remedies that deal with the underlying causes and emphasizes healing and prevention. Asthma is a chronic inflammatory disease of the bronchial airways of the lungs. Exposure to an asthmatic trigger initiates the release of inflammatory compounds that cause increased mucus production muscle contraction and narrowing of the airways causing difficulty in breathing. In some cases, breathing can become so laboured that the asthma attack becomes life threatening. If you have an asthma attack, it is important to use your doctor-prescribed inhaler immediately and get away from whatever triggered the attack if possible. If you still can’t breathe easily call 911 or have someone take you to the emergency room immediately. What are factors that can trigger an asthma attack? 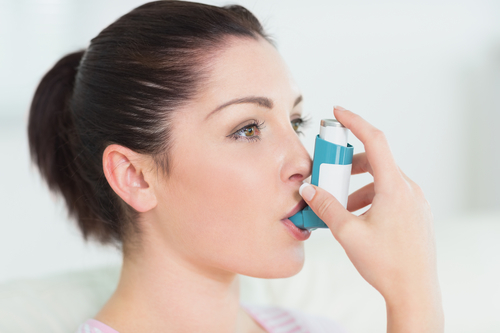 There are two forms of asthma, allergic and non-allergic and the two often occur together. Common asthma-provoking allergens include animal dander, cockroach allergens, pollen, mold, chemicals, drugs, dust mites, environmental pollutants, feathers, food additives, sea food, dairy products, nuts, yeast-based foods, fumes and tobacco smoke and occupational chemicals in farming, hairdressers, paint, steel, plastics and electronic manufacturing. Factors that can trigger non-allergic asthma attacks include respiratory infection, anxiety, exercise, exposure to cold air, excess humidity or dryness, fear, laughing, low blood sugar and stress. According to recent research, taking antibiotics before one year of age can increase the likelihood of developing asthma later in life by as much as 50%. Researchers speculate that because these antibiotics kill a wide range of bacteria (including friendly bacteria), they disrupt the natural flora in the gut, resulting in impaired immune function. According to the Centers for Disease Control (CDC), asthma now affects 16.2 million people, 6.7 million of whom are children. Eighty percent of children get their first asthma symptoms before age five. Asthma is the third leading cause of hospitalization for children. It is estimated that 6 out of 10 people with asthma do not have control over their disease. Because asthma is a complicated condition, it requires professional care from an experienced physician as well as a natural health care provider or nutritionist, in order to keep your asthma under control. A holistic nutritionist will be able to provide you with a variety of natural asthma remedies. Your nutritionist will assess the effects of asthma medications, asthma triggers such as allergies and prescribe a proper diet and natural supplements to ensure adequate nutrition. Eat a variety of colored antioxidant-rich foods such as dark green yellow and orange vegetables and fruits. Manage your stress, because stress can trigger an asthma attack-Try practicing daily meditation, yoga or breathing exercises. Avoid all scented air sprays and perfumes and use an air purifierwith a HEPA filter, to clean the air you breathe and remove allergens. Consider supplements to control your symptoms– There are many well researched nutrients that are helpful for control of asthma symptoms and attacks. These include anti-oxidants, essential fatty acids and herbals. Assess for hidden food allergies or sensitivities especially dairy products derived from cow’s milk. Try an elimination diet or get your blood tested for reactivity to a panel of different foods including common allergens. Check out our Food Allergy Test here. 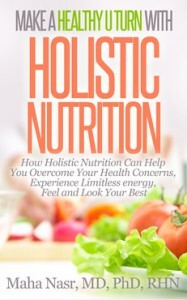 If the above tips failed to help, you can always ask for help of a qualified holistic nutritionist who can assess your health condition and provide you with a tailored nutrition program which includes an effective dose appropriate supplement program that can help correct possible nutrient deficiencies caused by medications (especially steroids) and reduce inflammation. You can get your asthma and inflammation under control through an alternative holistic nutrition program for asthma and allergies that uses a variety of natural asthma remedies such as a whole foods diet, supplements, herbs, mind-body techniques as well as avoiding triggering allergens. If you or any of your loved ones are suffering from asthma, please feel free to share your experience by leaving a comment below. I would love to hear from you and answer any questions you have. If you need help with your health and nutrition, call Healthy U Turn at 4168764634 to book an appointment 0r sign up for a FREE Clarity Session with holistic nutritionist ,Dr Maha Nasr to discuss your health concerns and learn more about how we can help you. If you are outside our service area, we can still help you via phone or Skype.